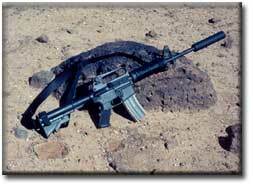 Can I own a Machinegun or Silencer ??? Please email for details. They are NOT covered by the National Firearms Act. They are simply barrels, ready for silencer. Silencers are covered by the NATIONAL FIREARMS ACT however. Yes we stock them. 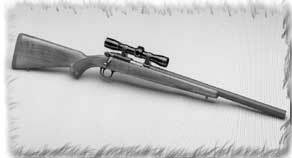 Shoot your Ruger 1022 with one of our silencers and threaded barrel. Your wife will appreciate NOT wearing hearing protection. The manufacturers below make excellent products. Our customers have been pleased with all of them. 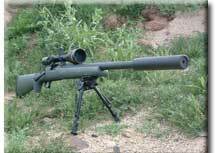 They are one of our suppliers of quality suppressors. This Q & A was posted on their website. Yes. Silencers are legal for private ownership in all but 16 states. Don't I have to have some kind of special license to own a silencer? No. You have to fill out less paperwork than you would to buy a car, and pay a ONE TIME $200 transfer tax to the Department of Treasury. Who can own a silencer? Anyone who is a legal U.S. resident, over 21 years of age, a non-felon, and lives in a state that allows private ownership of silencers. How quiet is a silenced gun? The dominant noise heard with a rimfire silencer is the click of the bolt opening and closing and the thump of bullet impact downrange. Centerfire pistol caliber silencers are almost as discreet and pack a much heavier punch downrange. 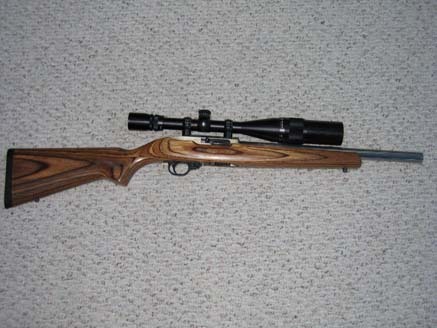 Centerfire rifle caliber firearms will realize a significant decrease in muzzle blast, muzzle flash, and recoil, but the silencer does nothing to mitigate the ballistic crack (sonic boom) produced by a projectile traveling above the speed of sound (approximately 1087 feet per second). Why would anyone want a silencer? A silenced firearm is eminently more enjoyable to shoot than one without a silencer. Shooters are able to concentrate more on breath control and trigger pull when they are not subjected to the fatigue and distraction of a loud, bright, muzzle blast. Beginning shooters are typically not intimidated when introduced to the shooting sports with a silenced firearm, and are able to easily hear instructions given to them by trainers since hearing protection is no longer needed. Silenced firearms are also less likely to disturb any people, livestock, or wildlife that may be in close proximity to where you shoot. If we don't have it we'll get it for you. 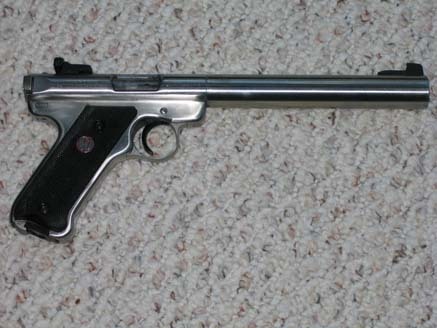 Here are two examples of products we sell: SUPPRESSED FIREARMS.